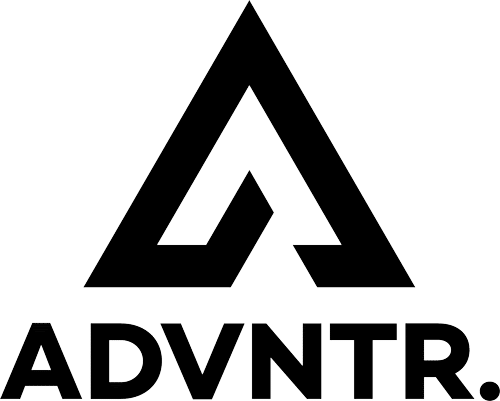 Endura MTR Shell Jacket - ADVNTR. With apologies to Jim Morrison… You can’t escape the fact that autumn is upon us. Inevitably most people will begin to focus on the coming months. Particularly the dark, the cold and the wet! 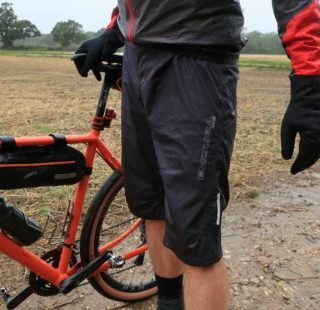 Cyclists being hardy souls, begin to think less about how to keep warm indoors, and more about their waterproofs and winter gear. Mostly, it will have been bundled into a dark corner where it has remained undisturbed ever since. When it is eventually dragged out, it is quite common to find that some of it needs replacing. 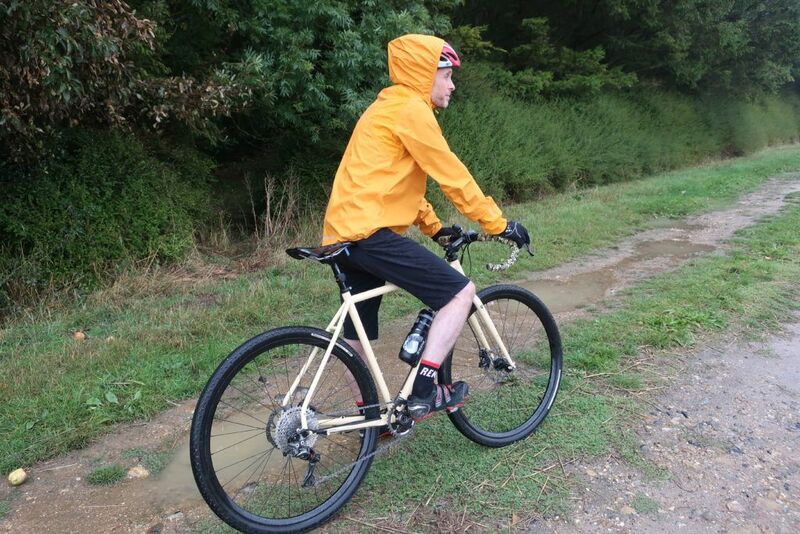 Now, I really don’t like getting wet, even less so when I am riding. 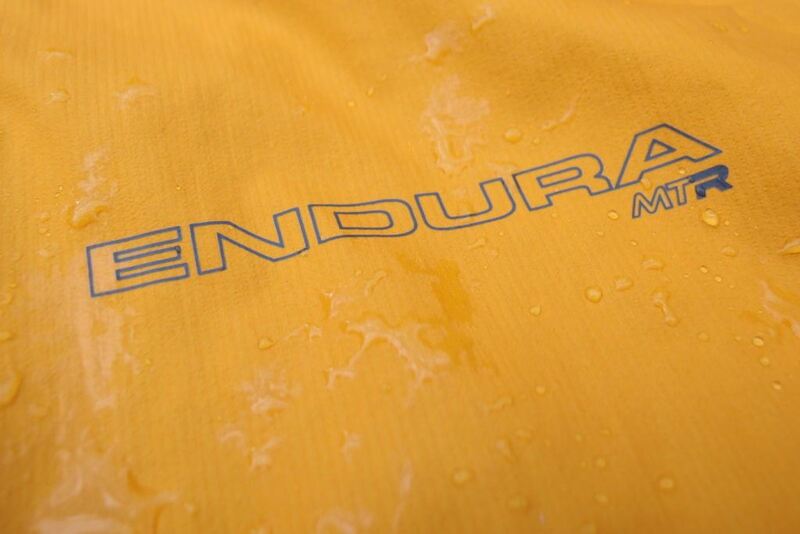 Endura’s MTR Shell jacket looks like it ticks all the boxes in the ‘stay dry in a monsoon’ category. 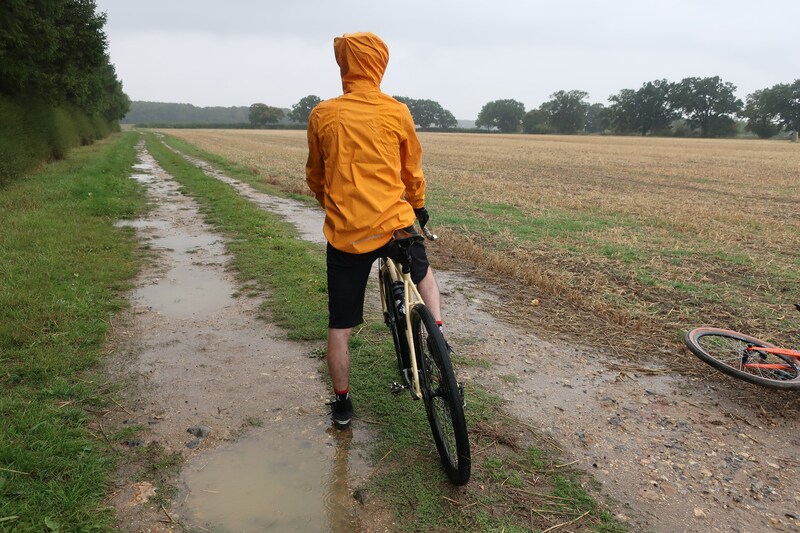 I was happy to get a new jacket to test, but not exactly over the moon at the prospect of having to venture out in a monsoon to test it properly. As luck would have it, or not – depending on your point of view, I was able to put the MTR through it’s paces somewhat sooner than anticipated. 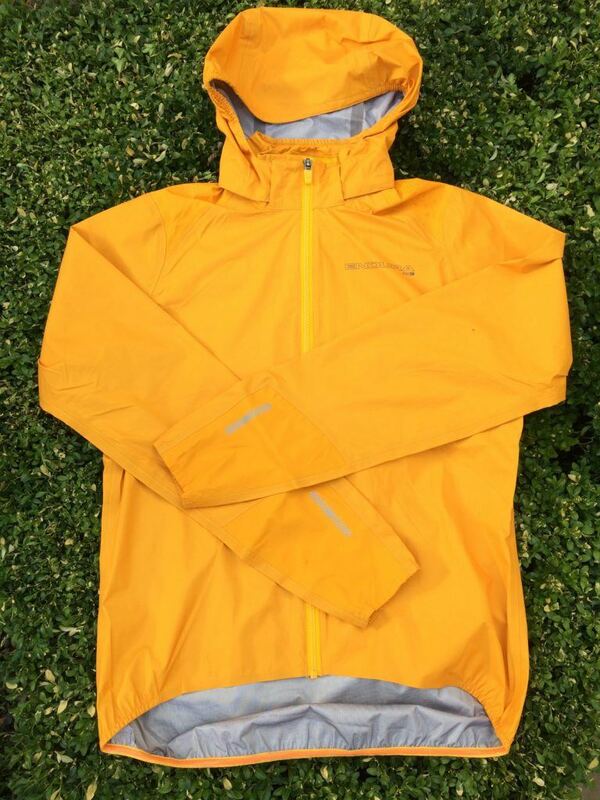 Just a few days after receiving the jacket, I was standing in my kitchen, watching a particularly heavy rainstorm. The rain was lashing against the windows and I was glad to be indoors. A few minutes later, my phone beeped into life. A message from James, “Great weather to get a few shots of the jacket!” A quick check to ensure he was joking confirmed my worst fears. Thirty minutes later, I found myself waiting by the side of the road for James to arrive. James arrived and set a decent pace while I sat in and did my best to keep up. Riding in a downpour and being in the firing line from spray from his rear wheel was a great test of the MTR’s waterproof properties. Thankfully, it passed with flying colours. 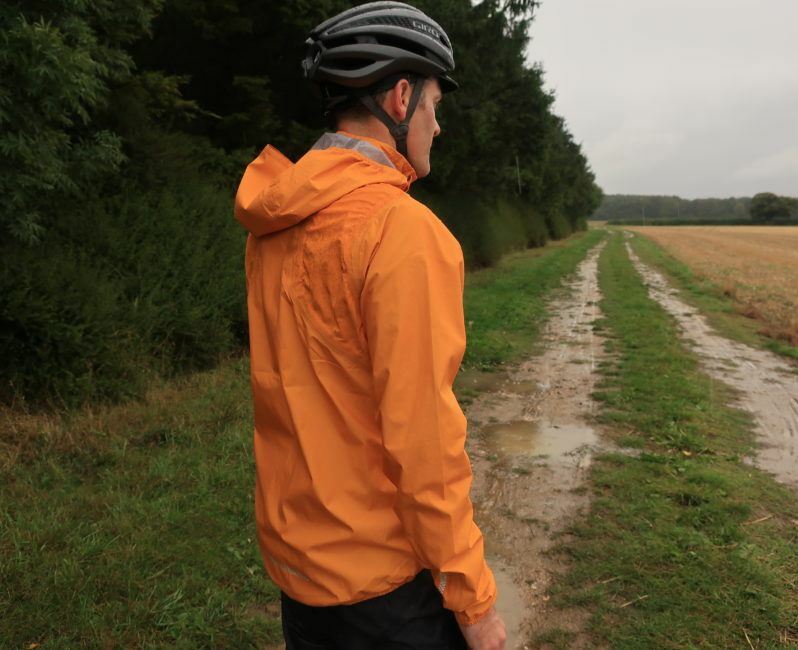 In the gloomy conditions, the bright orange fabric really did stand out. Although I usually go for the all black ‘trail ninja’ look, bright colours will guarantee to pass the ‘worried spouse test’! 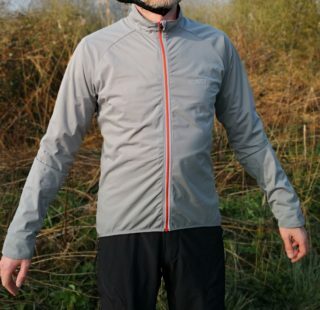 Reflective elements on both the cuffs and the tail of the jacket further enhance the jacket’s visibility. (Incidentally, the MTR is also available in black for those who prefer not to draw attention to themselves). 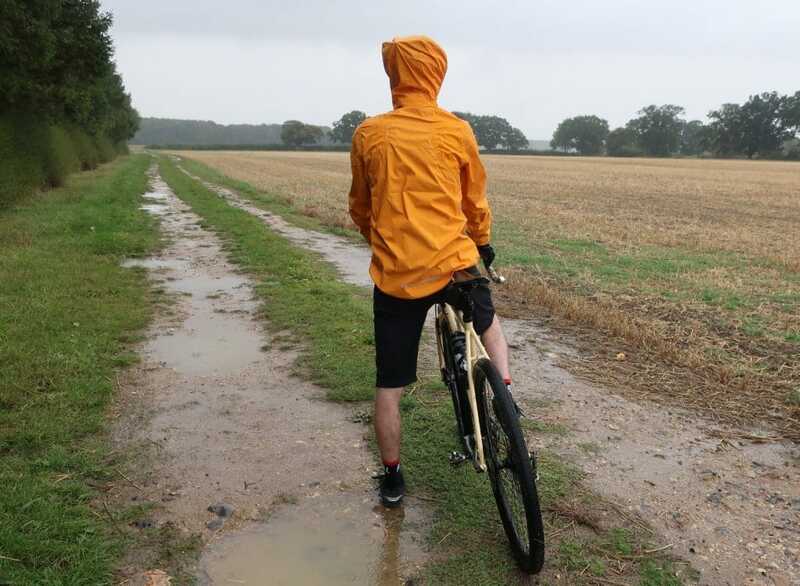 Despite riding in some truly rotten conditions and standing around in pouring rain in an anonymous field in Suffolk, the MTR kept me perfectly dry. Shame about my shorts and shoes! 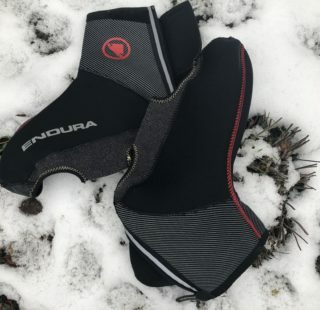 The fabric is fully seam sealed and is rated 40,000mm for breathability and 20,000mm waterproofness (stats from Endura rather than our own labs). The cuffs are elasticated and sit snugly on the wrist. The collar is comfortably lined. The MTR Shell packs up pretty well with the elasticated loop. There is a hidden loop in the collar to help you pack the jacket up. 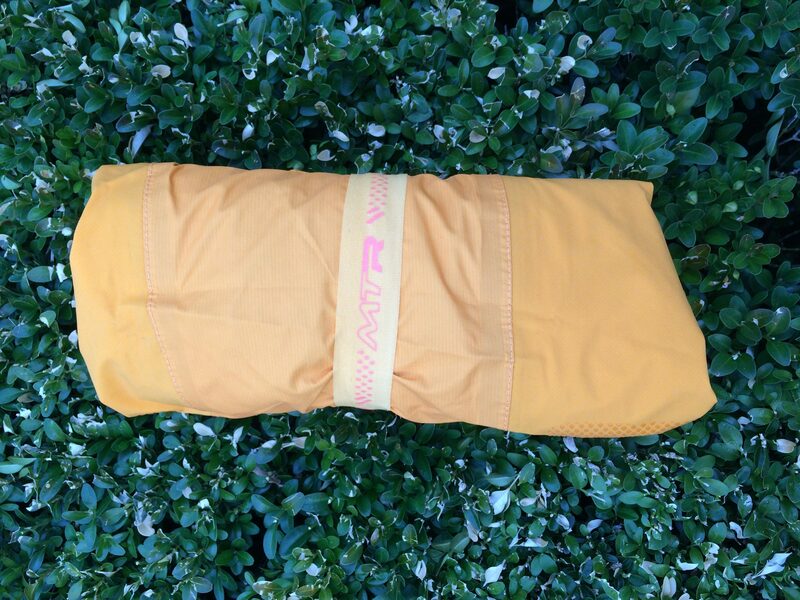 If you want to stow it in a jersey pocket you will have to wrap it up very tightly and have very generously sized pockets. 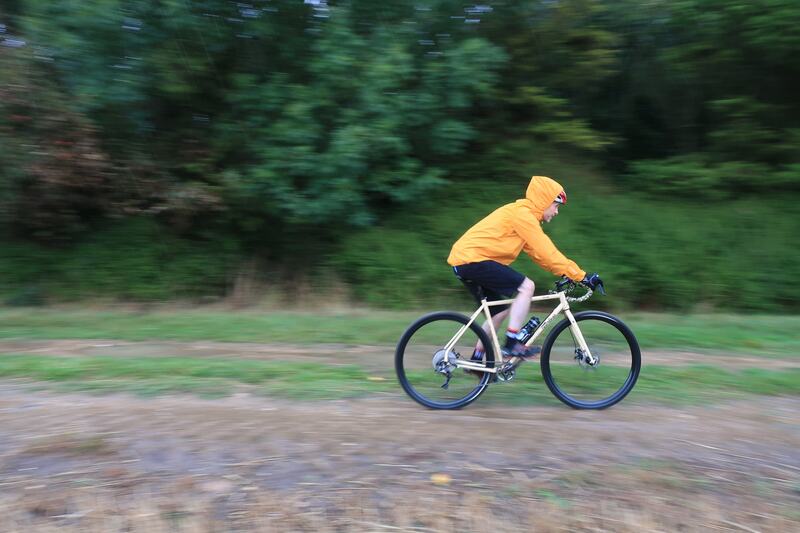 If you have frame/bar bags deployed on your bike, the 200gm weight is negligible and it’ll easily stow away in a bag or backpack. Surprisingly, the hood proved quite easy to ride in. It does have a tendency to fly off once you reach a certain speed or when riding into a headwind though. 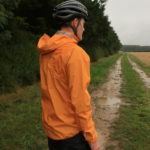 Luckily the hood is detachable, so you can remove it entirely if the flapping drives you mad or slide it through the packing loop hidden in the collar. 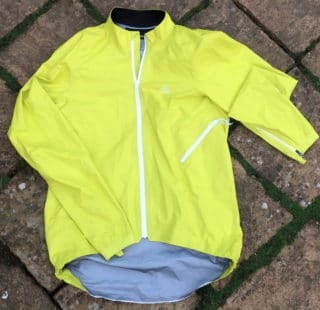 In conclusion, I think the MTR Shell is a great jacket and well worth the £139.99 price tag. I am sure it will become my go-to jacket in the coming months unfortunately! 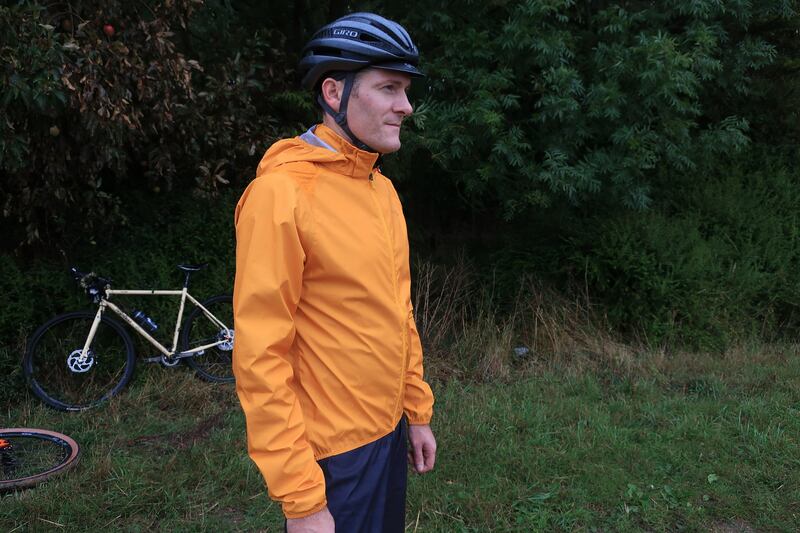 Excellent waterproof jacket with the added bonus of being breathable.